Jack Abramoff: Donald Trump Has Potential to Be Best Modern US President- Can He #DrainTheSwamp? - Wall St. for Main St.Wall St. for Main St.
Jack Abramoff: Donald Trump Has Potential to Be Best Modern US President- Can He #DrainTheSwamp? 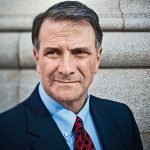 Jason Burack of Wall St for Main St interviewed first time guest, former top lobbyist, author, lawyer and whistle blower, Jack Abramoff http://abramoff.com/. During this 30+ minute interview, Jason starts off by asking Jack about the documentary, The Best Government Money Can Buy, about lobbying and if large corporations get a 100 to 1 return on investment (ROI) or greater when they hire lobbyists in DC? Jason then asks Jack about DC corruption and how difficult it will be for Donald Trump to drain the swamp? Jason asks Jack about if the levels of corruption has increased in the last few decades? Jack says there’s been pervasive corruption in DC for a long time but most Americans just didn’t notice. Jason and Jack discuss Trump’s call with Taiwan, some of Trump’s cabinet picks, if Trump will try to copy Ronald Reagan and what efforts can be done to try and clean up the massive amounts of corruption in DC.